My Dream | Have YOU Ben Starr Struck? 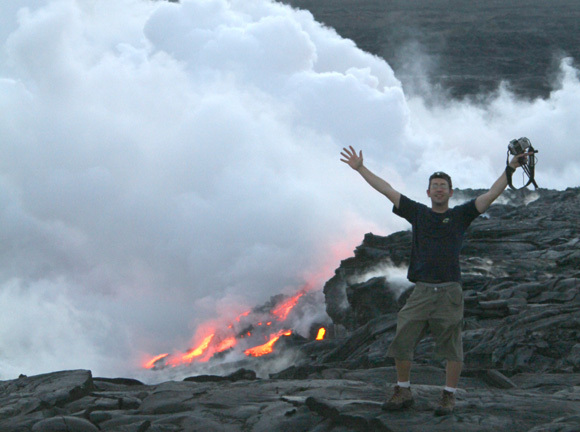 You may have heard on MasterChef that I am obsessed with a dream of opening a guest farm on the Big Island of Hawaii. After traveling across the globe, 36 countries and 7 continents later, I fell in love with Hawaii, of all places. But in particular, the southern district of the Big Island of Hawaii, called Puna. One of the only places in Hawaii to escape tourist development, Puna is a sleepy district filled with rainforest, erupting volcanoes, wild coastline, and small organic farms. Virtually everyone here lives off-grid, creating electricity from solar and wind power, and gathering rainwater from the 100+ inches of rain that fall here each year. With elevations stretching from tropical coastline to alpine permafrost just shy of 14,000 feet (where it snows each winter! 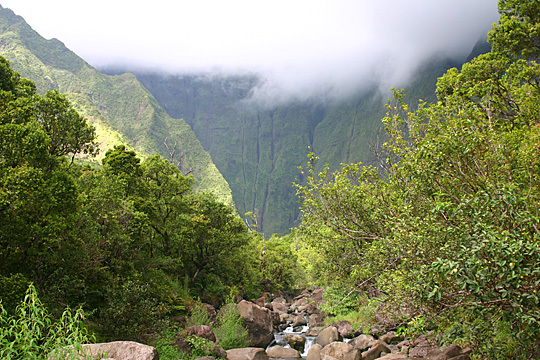 ), the Big Island has virtually every life zone that exists on Planet Earth. 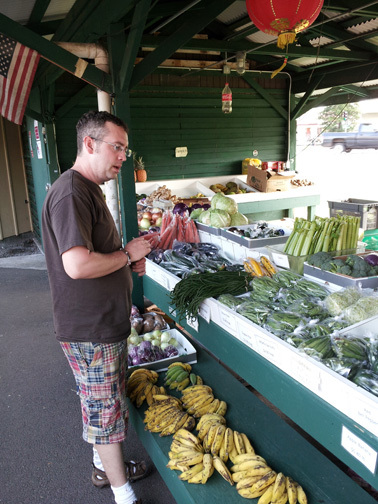 I’ve been captivated by the interesting group of people who call Puna home. Native Hawaiians, people whose families have lived in Hawaii for generations, and many, many newcomers who have been lured to the island by its incomparable beauty and the ability to live sustainably and off-grid while surrounded by like-minded people. I’ve made many connections there and my island friends are eagerly awaiting the beginning of my project. The farm will serve as an agri-tourism draw for both day trippers and overnight guests. They can choose to simply use the farm as a relaxed hide-a-way for their vacation, surrounded by lush rainforest and pastoral farmland…or they can get involved, hands on, and learn how the farm operates in an off-grid, zero-landfill way…a model for the future of sustainable agriculture. They can enjoy fresh breakfasts each morning, packed lunches for excursions, and sumptuous meals each evening, prepared largely from products grown right on site; or slide up to the bar to sip crisp, refreshing craft beer brewed right on the farm. The goal of the project is to help reconnect people to the food chain. In this modern day with our industrial agriculture and distribution system, many people have no idea where the food on their plate originated (likely thousands of miles away), much less how it got from seed to plate. The guest farm will network with mainland universities and organizations promoting agricultural reform and sustainability practices, and will welcome interning students who are eager to start their own farms-of-the-future. It will also serve as a magnet for artists looking for an escape to a place of potent beauty, connected to the earth, who can reside on the farm in exchange for a few hours of volunteer work each day. The farm will give back to the community through several youth programs, from educational field trips by local schools, to a work-study program that will allow homeless youth (a big problem on the islands) to get back in school, be productive, and establish a support system to help shape their futures. I’ve spent the majority of my life mastering so many different skills, and for many years I had no idea how I could put them all to good use. I know plumbing, electrical work, carpentry, and stonework. I brew beer and wine, and I’m obviously great in the kitchen. I know how to care for chickens, goats, sheep, and pigs. I’m most passionate about entertaining guests, and about helping artists find inspiration and succeed. I love to teach, and I’m an accomplished public speaker. But how on earth could I put all these passions and skills to work in one place? While visiting the Big Island for the first time, staying in a treehouse way up in an ancient avocado tree…staring at the ocean and watching people work in the papaya fields below me…the epiphany occurred. This will be my life’s work, and my life thus far has been preparing me for it. Leading me toward it, even though I’d had no idea where all my interests were heading. Obviously this is something I can’t do alone. I have a clutch of life-long friends who are eager to help, some full time, and some for portions of each year. The guest farm is intended to be a community of individuals working together to bring hospitality, joy, and awareness to everyone who sets foot there, with a core of people who live and work there full time, and a broader network of people who vacation or spend a few months at a time there. 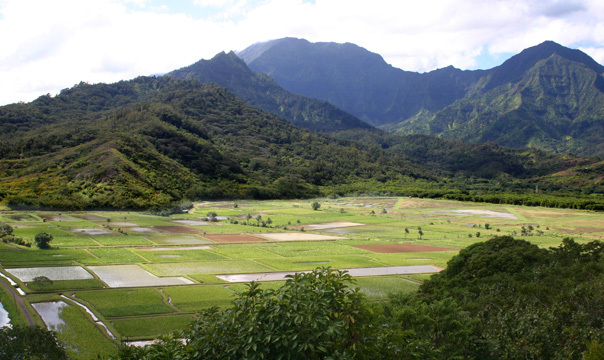 Our impact will reach far beyond the island of Hawaii, though, as we have production companies and television networks who are eager to document the guest farm’s creation and day-to-day workings. If you are interested in becoming a part of this unique effort, please contact me. We will need hard workers. We will need investors. We will need innovators in alternative energy, permaculture and microclimate farming. We will need dreamers and artists. Travel is changing. Agriculture is changing. People and our relationship to the Earth are changing. The time could not be better. Join me! Hate to sound negative, but, it sounds like you are bringing tourist development to an area that you liked because of its’ lack thereof. Sure your version is not a tall oceanfront condo structure. But by making it popular (and by your own popularity) you could be creating a path for that version. Jeff, travel writers like me struggle with this issue all the time. Just because an area has not yet “been discovered” does not mean that it should be blocked off so no one else can enjoy it. But sometimes, exposure to the public does bring overdevelopment. Luckily, the Puna area has no beaches, which is exactly WHY people go to Hawaii. Like the little Caribbean island of Dominica, which has been featured in major magazines for many decades, there’s simply no possible way for overdevelopment, because there’s simply no beaches for big hotels to be built on. The vast majority of the public is still headed to a beach when they book a tropical location, so Puna (and Dominica, and many other tropical paradises) are naturally shielded from overdevelopment because they have no beaches. 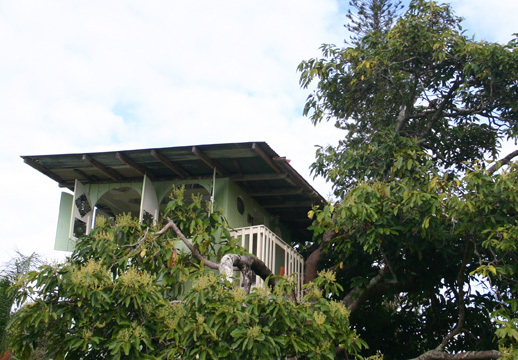 Puna is the realm of tiny bed and breakfasts and rural farms, and it always will be! I love it there Ben and you’re absolutely right. The locals will fight any development that is even thought about in that area. So don’t think about it folks. Keep it awesome! I’m interested in your project! I’ll follow you on FB.